Korean beauty products review part 2:Etude House and Heroine Make. So..I said I was going to do this blog post yesterday but because I was busy catering food for a birthday party,went out after and then watched a movie after dinner,I totally forgot to click the publish button!Ooops.But here you go,the second half of my Korean beauty products review! Continuing from my previous post on my Korean beauty products review,here are three more items.Two from Etude House and one from Heroine Make. This one intrigued me when I saw it on that Buzzfeed Ladylike video.But I bought it anyway because it was cheap and I was curious on how it'd look on me.Suprisingly..it does makes your eyes appear more awake.I'm not really sure if it makes my eyes look bigger though. It's pretty easy enough to use,just follow Step 1 and Step 2. You can see from the picture above that my left under eye looks more awake and my eye bags have pretty much disappear! I guess it does diffuses the light and makes your eyes look bigger.I love it. 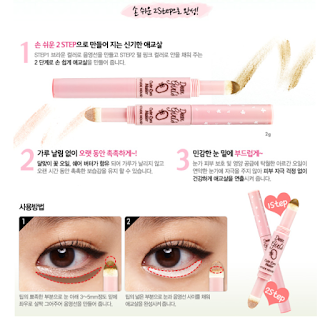 But to be honest,it's not exactly a must have beauty product as you can use your concealer..but it's fun! I actually bought makeup from Heroine Make years back and love their liquid eyeliner.But then when you're exposed to Kat Von D and Moonshot liquid eyeliner,you tend to forgot about it. I've bought this one for quite sometime when I saw it at Sasa and only recently started to really use it.Because not all of my mascaras are waterproof but recently I've been using three mascaras(alternately) that are all waterproof. 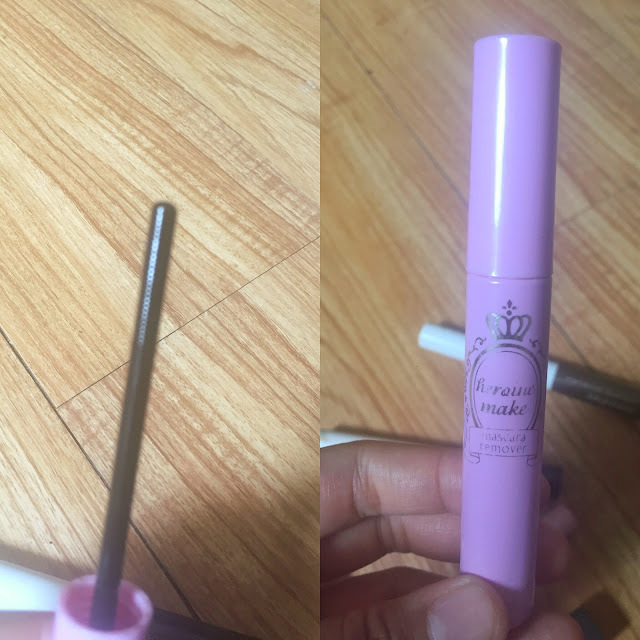 This mascara remover makes it soo easy to remove any of your waterproof mascaras.I find with waterproof mascaras,it only works if you use oil based makeup remover,like the blue bottled one which my husband got me from Sephora. Even my Bioderma,makeup wipes or TonyMoly sherbet cleanser have a hard time in removing my waterproof mascaras.With this one,you just apply it like you would a mascara,then you use a tissue/cotton pad and wipe your mascara off a few times.Super easy,not messy and easy to bring if you're travelling. 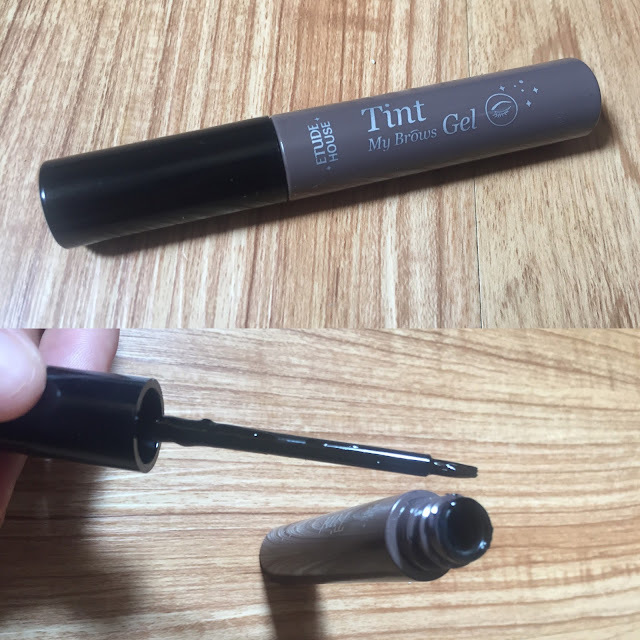 This eyebrow tint gel was actually recommended to me by my sister in law who bought and used it first and she showed me Tina Yong's vid..Then I saw it being reviewed by Youtubers such as Tati(glamlifeguru) and Michelle Phan..suddenly it's everywhere. 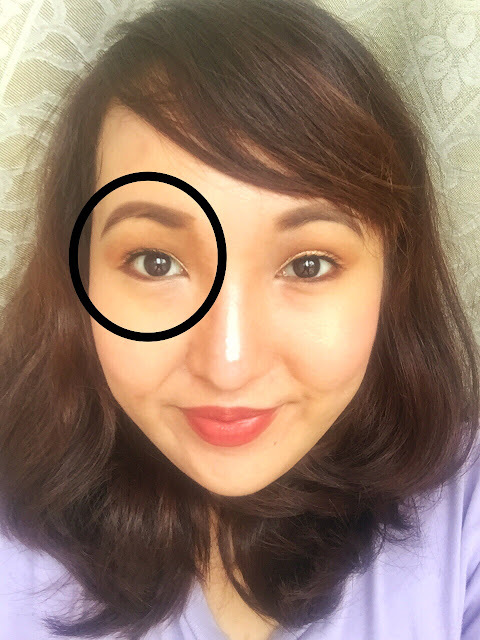 After my sis in law used it and it looks good on her,I thought..okay,i'll buy it.I bought it in the shade #3 gray brown as it's the closest to my natural brow colour. I was a bit scared about it at first though. haha My sis in law said that it lasts for 2 weeks on her.But that's if you avoid putting any facial wash/soap near your eyebrow for the first 24 hours..which I forgot to do many times and also because I've combination skin..it doesn't last as long on me,as my sister in law has normal skin. 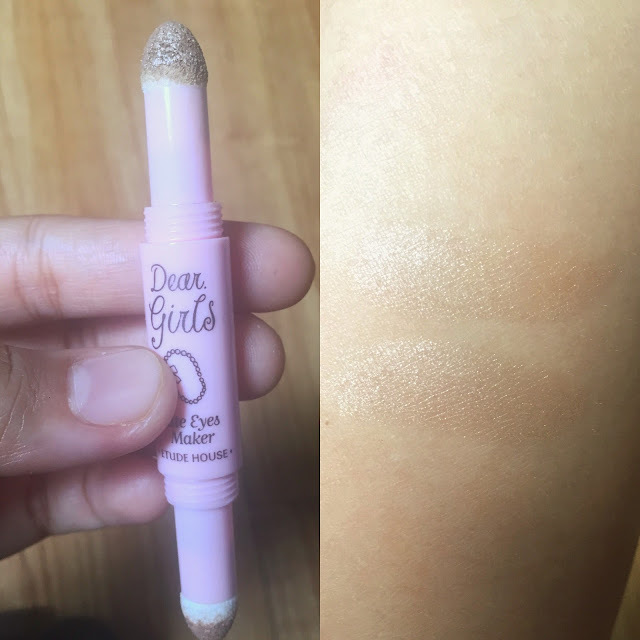 I've used this five times so far.I've let it stayed on from two hours and i've even slept with it to get a more intense look.But once, it was too intense!Luckily, you can use your makeup remover to tone it down. 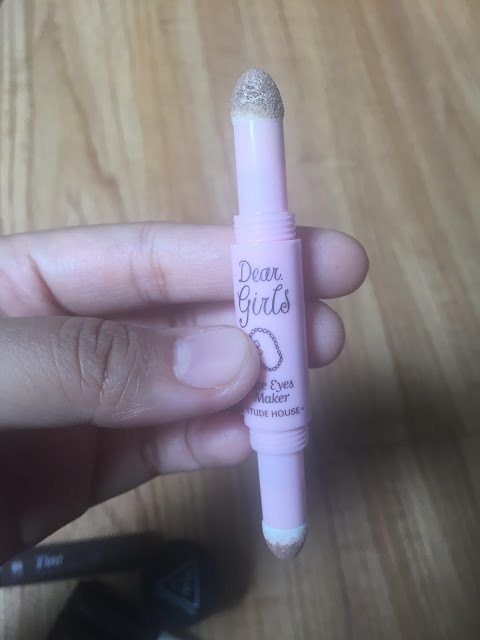 It's really easy to use..you just draw it on your eyebrows and depending on how thick you want your eyebrows to look like.If you made any mistake,just clean it using a cotton bud.Let it dry for 2 hours or overnight and then just roll it/peel it off from your eyebrow. 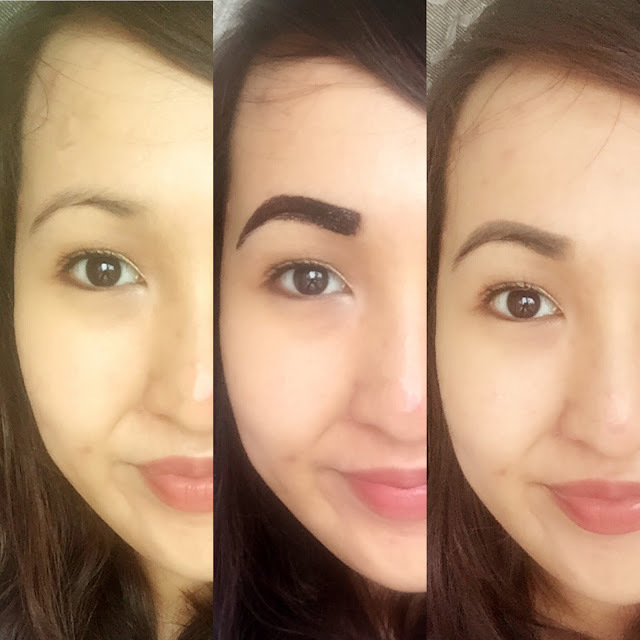 You can look at the pictures above and see how thick my eyebrows look after using the gel.I've nooo idea why the far left pic(above) made my skin looks so yellow..I've tried to edit it to no avail.Must be the sun.As the pictures above was taken in the span of two hours(I let the gel dry and then peel it off after two hours to show the effect). 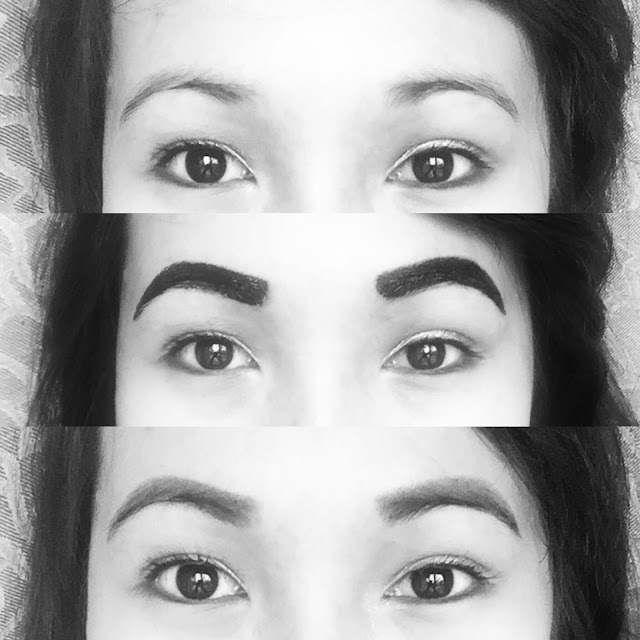 I actually love how it makes my eyebrow looks a lot thicker,natural and it saves you a lottt of time in drawing your eyebrows.The downside is that it's not that long lasting on me..but that's a good thing as well I guess. I definitely see myself repurchasing this one item compared to all the others listed in this and the previous blogpost as i've used up a lot of it already. Hope you like my two blog entries on Korean beauty products and would try them on for yourself soon.Let me know in the comments if you've tried the ones I've mentioned here or in the new blogpost!